First up, is an alphabet (all upper and lower case letters are included) and beginning sounds sorting activity. (Click the photo below to get letters A-D). Normally, I would use velcro for an activity like this, but I decided to try it with adhesive magnets which I purchased from e-bay. The magnets worked well to keep all the feathers in place behind the turkey, but they did not magnetize powerfully enough to keep the feathers in place if the turkey was lifted off the table. If you don’t want the feathers to fall off, velcro is the way to go. If you hate the idea of your kiddos having to pull off one turkey feather at a time when packing up, then magnets are the way to go. I suggest you try out the 2 options before making your final decision! Included in the packet is also a corn number matching activity. Each corn stalk displays a numeral and children have to attach the matching corn number word and dots to the corn stalk. I used clothes pegs for this activity. And you can never get enough sight word repetition! I made a cornucopia fruit and vegetable sorting activity, which requires kiddos to match the sight word fruit and veggies to the correct horn. Simple, but effective for beginning readers! This packet would not be complete without a turkey feather color sorting activity, right?! I also added a pumpkin pie shape sorting activity. Each pie displays 2 shapes found in real life, and kiddos are required to match the whipped cream with the correct shape to each pie. 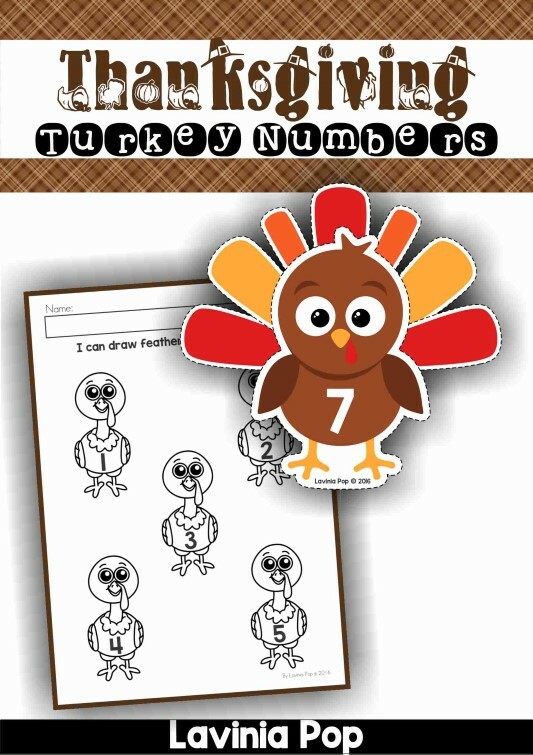 Annnndddd… last, but not least, a turkey counting activity. 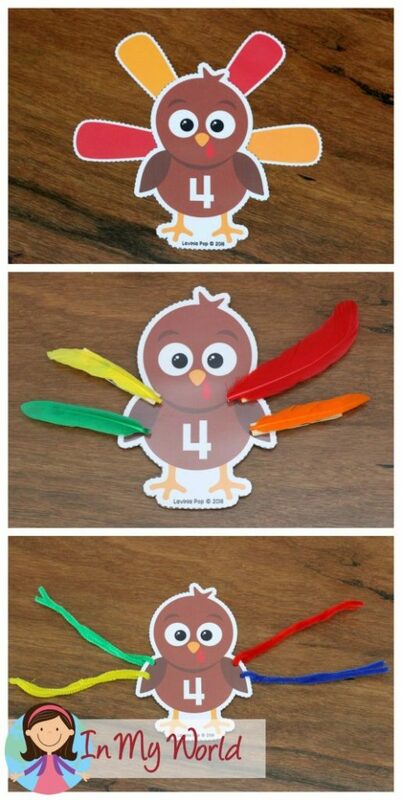 There are so many ways to use this center activity, and below are 3 ways I thought would be fun: with the feather printables included, with actual feathers glued on to some pegs and with pipe cleaners (chennille sticks) strung through some holes made around the turkey shape. 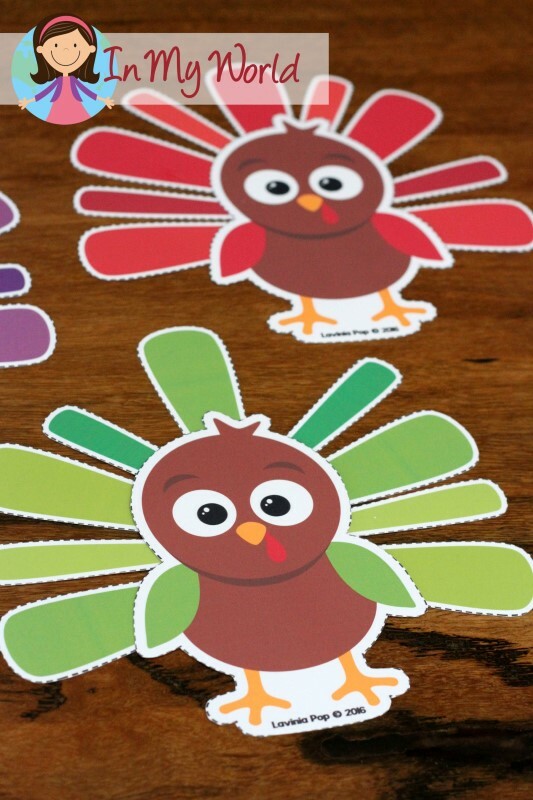 This counting activity is not included in my Thanksgiving Preschool Centers, but in my Thanksgiving Turkey Numbers Center Activity and Worksheet packet which you can get FREE in my TPT store by clicking here. These are beautiful activities. Thank you for sharing. Love the sight word centers. 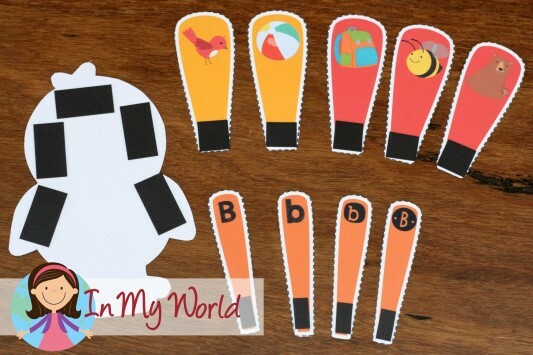 Will you be creating pre-primer through first grade sight word centers that’s not geared towards holidays separately or bundled together? The kids have a week off of school and we are going to try to do each one of these. They are too awesome to pick just one. THANK YOU! These are adorable – thank you!